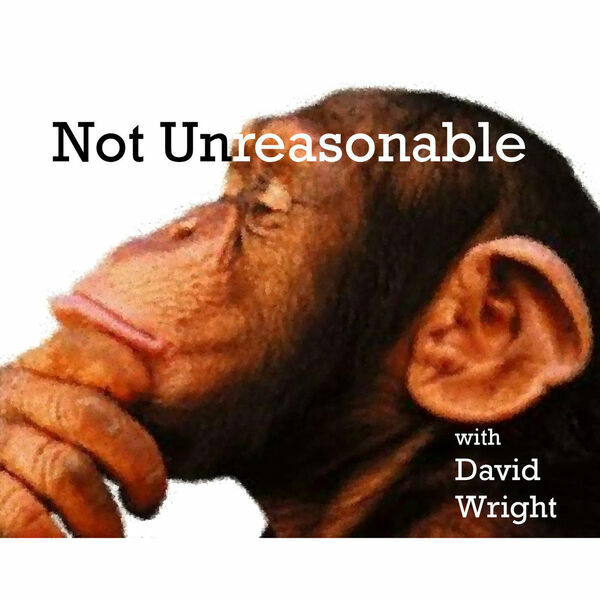 The Not Unreasonable Podcast - Tyler Cowen Reads A Precept Then Interviews Me! Tyler Cowen Reads A Precept Then Interviews Me! While my interview guests are getting settled in I occasionally ask them to read out some of the actuarial code of conduct and we discuss it. I'm assembling those clips into some content for my paid actuarial continuing education channel which all actuaries you should check out (and get those CE credits before year-end!). When I did this with Tyler my little warmup act turned into an impromptu Conversations with Tyler where we explore what it means to be an actuary and whether he and I might start a competitor organization! Tyler Cowen:0:29Hello, this is Tyler Cowen, precept five an actuary who issues an actuarial communication shall as appropriate, identify the principals for whom the actuarial communication is issued and describe the capacity in which the actuary serves. David Wright:0:47Any reaction to that? David Wright:1:25for actually the content of the communication and and undefined. You're right, and they don't really tend to define it very often. Sometimes people define actual work product as anything an actuary does and you kind of have to define a little bit broadly because of the possibility for misuse. So you email something out, right? David Wright:1:39And it says, here's what my conclusion is, and if you're not an actuary, you might not understand it. You might take it and say it, that supports my purpose and send it onto somebody else and screw somebody or do something maybe not nefarious, but maybe a little bit misleading or misleading enough that the original actuary wouldn't want you to do that. And when you would see this is not an intended purpose and I didn't want you to be able to. I didn't want to empower you in this way. Uh, I wanted to empower you in these specific ways and so we have to be very careful about defining the, the scope of any kind of work that we do because we are dealing with people who need what we do. So we're empowered in a certain way but don't understand what we do. Tyler Cowen:2:14The real lesson to me is how much background context can be behind an apparently simple statement. David Wright:2:19Absolutely. Yeah. Isn't it interesting. And so one of the things that fascinates me, both these I think that the precepts are under appreciated and I think people tend, you have to read them or every year, every actuary has to spend three hours doing professionalism development. So reviewing one of the things that we have to do where they go to talks or seminars or we had to sit down and read the precepts of the code of conduct in 3 50 minute private sessions and then a test that you did it. Tyler Cowen:2:42And what actually is an actuary legally speaking, is defined at the state level by a licensing process or is it by some other. Tyler Cowen:2:55So it's a natural monopoly, somewhat like a credit rating agency or. I would. Tyler Cowen:3:43But let's say I, Tyler Cowen came along and set up the actuary certification company in New York state. Tyler Cowen:3:49And I decided, ah, these seven people that are actuaries, how far could I get with that? Is there a legal problem or just everyone would ignore me? I don't know. I think everyone would ignore you. You would say, I picked seven really good people. You're one of them and then next year, you know, I pick another 20 and five years from now I'm picking the best people and I'm doing slightly better than the supposed natural monopoly. Is that a contestable market or do I just have no chance there? David Wright:4:12I think you have no chance and... But the thing is, I'm not totally sure what the mechanism for the failure is going to be. I think that I know that there you have to attest to the fact that you are an actuary when you sign off on financial statements, but that information comes from the actuarial body. Who, who, who actually. David Wright:4:28You know who they write the exams, are they they build the exams that we have to pass to become sort of as an actuary. I don't know where the mechanism is for the states to actually require that designation or or where it's embodied in legislation anywhere. I think it probably is. David Wright:4:55In Canada there happens to be pretty close to one though. There's one exam that's different between Canadian actuaries and US actuaries, if you take. It's like the accountants, so accountants, you have to actually have a recertification process to be an accountant in United States if you're one in Canada, and so different countries have certain amounts of overlap between the educational qualifications. Canada is one of super, super close. The UK is not as much and some countries you can apply for an equivalence and you'd get your credential converted and sometimes that takes more work or less work. I don't know that anybody has a real total clean shot in. I think anywhere you have to go, there's some local knowledge you have to accumulate usually as embodied in an exam process or an or an application for an exemption from that. Tyler Cowen:5:30How about within the European Union? Tyler Cowen:5:38but if I'm a Croatian actuary I would be surprised if I could just show up in Germany and practice without hindrance. Tyler Cowen:5:44As a matter of fact, that seems to me one of those service areas where the EU is not really close to a free trade zone, at least not yet. David Wright:5:51Well there. There's another layer of complexity there because insurance is a, as it was a really long history of insurance. There was conflict between whether it's a local or a national service. So you can think state regulation, right? It shouldn't this be interstate commerce, you think it would be a lot of other financial services are not. And so there's this hole and it's a debate that kind of goes back and forth a little bit in the history of the regulation of insurance, but also just in the practice of the business as it is today. It's a very, very local business. And you know, what's amazing about insurance is that you're an insurance agent in some small town and there was like, there's like 3000 insurance companies in the United States compared to like how many smartphone makers, right? I mean this is a business which is non aggregated because the local relationships that people have, you know, and I think that this is, this has to do with what I like to think of insurance as a moral economy, which is like, it's all really uncertain. We're not sure what's going to happen. So we're going to have to trust each other a little bit here. And as a result, you trust people you know, and you liked the idea of having a local and it's not something that I would choose myself. I'm with the big guys like lemony other people, but you're living in a small town. I think you gain comfort from the fact you have a local agent, a local company that's actually issuing your insurance policy and you'd like that. And so there's this real low, you know, localization kind of idea. That's in insurance. And so back to the EU example, it would surprise me if your Croatian actuary could go to German insurance companies because the Germans were like, we want the guys we know, right? Tyler Cowen:7:05But say I'm a nationwide company, maybe I'm chartered in Delaware, but I've branches in all 50 states and I go to the Supreme Court and I say, I don't want to be covered by any state regulator. I want to be regulated by the federal government. What would they say to me? Tyler Cowen:7:24Well but the court could rule. I'm not saying they would, but what's their argument for not doing so? David Wright:7:28So I, I think right now there is actually a bit of legislative precedent or legislative structure for this where the federal government is allowed to regulate insurance where there is no state regulations. There was an act that was passed in the thirties, which correct. Which sort of clarified all of this. Tyler Cowen:7:41What act was that? David Wright:7:44Yeah. And pretty important moment because at that point there was a supreme court ruling actually in the nineteen twenties that flipped from state to federal regulations reports that actually the precedent was wrong. This is really interstate commerce should be federal and then the whole thing blew up and they gave them like they think they gave them five years to figure it out and they said we're going to, we're just sort of set a ticker on this ruling and then the McCarran Ferguson passed and rewrote the rule book. And so federal regulation can exist. We're a state. Regulation is not so state regulation is enshrined in the federal act, but if in some in some lines of business are federally regulated right now, you know there is a, there's always this movement afoot and Dodd Frank at one point had a bit of a federal regulation of insurance conversion as a part of it and I don't, I don't. I think to some degree it did make it through in some degree it didn't. So there's always a tension there. So that battle is happening all the time actually. And, and you know, I'm not, I'm not aware of, you know, kind of a blow by blow analysis of it, but it's not working. Staying state. Tyler Cowen:8:33But you mentioned trust. So let's say I'm in mostly a high trust country, but maybe a low trust state or province and I decide I want to do my insurance through Singapore because I trust them more than my local people. Does that ever happen? Is that the wave of the future or it really is about geographic distance. David Wright:8:49It's your, your insurance policy is, is as. You aren't allowed to have one in the United States. If it's not a federal, uh, not, not, not federally, if it's not a regulated entity in the United States now. Tyler Cowen:9:00But they could have a shell of some kind in the US, but the actual business is done in Singapore and I get on a plane to Singapore. I meet them, I shake their hand, I say, Oh, I trust Singaporeans. This is what I want to do. Sure. David Wright:9:11So that can happen and that happens in my day job I do organize such arrangements periodically, but where it falls down, it's not necessarily on a preference. It falls down because of the economics or the finance financial arrangement is just not profitable because if margins are too thin and insurance companies and you get to pay another another mouth in the chain just doesn't make you don't make any money so you can do it, but you won't make any money doing it. If you wanted to pay more for it as a consumer, you could probably organize that and you said, yeah, well I'm going to be paying 20 percent more for my insurance premium if you wanted to do that. I could organize it for you tomorrow. And insurance policy through a federal relay Shell.. Front company on front companies, United States with the financial backing of somebody in Singapore. It does happen. Tyler Cowen:9:47Can we put all this into my podcast too? David Wright:9:49Absolutely. You got it. Um, okay. So that's the warmup. Holy Cow.